E. coli Lawsuit | Can I Sue for E. coli and Should it be a Class Action? E. coli Lawsuit | Can I Sue for E. coli Poisoning? You can sue for E. coli poisoning. You have an E. coli lawsuit if there is evidence connecting the E. coli infection to contaminated food or animals at a petting zoo. Your lawsuit can seek compensation for medical bills, lost income, pain and suffering, and other damages. If you or your child was severely sickened, your case may be worth millions. Attorneys Fred Pritzker and Brendan Flaherty recently won a $7.55 million verdict in a suit filed on behalf of a young child who was diagnosed with E. coli and suffered kidney failure. Contact Fred and Brendan for a free consultation and ask them if you should be part of a class action suit. Our lawyers have helped clients sue corporate giants and win. Two of our many settlements for clients include $4.5 million and $7.55 million. Below are 5 reasons you should sue for E. coli poisoning now if you or your child were sickened in an outbreak. Until a lawsuit is filed, we can’t get access to some relevant corporate and health department documents. After a suit is filed, there are legal processes we can use to force them to share information. By filing as soon as possible, there is a greater chance of getting available insurance money before it is depleted by payments to other people sickened in the same outbreak. In some outbreaks, the liability to people sickened has been so great that companies have filed for bankruptcy. Chapter 11 bankruptcy allows an organization to stay in business but get rid of or lessen some debts. Chapter 7 bankruptcy liquidates an organization, meaning it no longer exists. When the media covers these outbreaks, they want to have contact with the victim or his/her family so they can tell the story from the standpoint of the patient. This allows people like you to be a voice for food safety and the reforms that are necessary to prevent this from happening to someone else. Our clients have been featured in major news publications and have testified before Congress. You will have the opportunity to be a voice for food safety reforms. The media cover E. coli outbreaks, and you can tell your story to a wider audience, educating the public on the harm this dangerous pathogen can inflict on everyday people, both young and old. Our clients have been featured in major news publications and have testified before Congress. This can speed up the settlement process, which is particularly important when there are serious complications, such as hemolytic uremic syndrome (HUS), thrombotic thrombocytopenic purpura (TTP), or severe hemorrhagic colitis (colectomy). Patients may have to be hospitalized for lengthy periods of time. Some of our clients have been in the hospital for months. When the patient is a child, the parents often have to take weeks off of work to care for them. The drain on family finances can be devastating. Our E. coli lawyers have helped many, many families like yours obtain millions of dollars from processors, distributors, restaurants, retailers and others. They have gained a national reputation and have been interviewed and quoted by The New York Times, USA Today, Associated Press, The Wall Street Journal, CNN, and others. that specific bacterium contaminated a food product, water supply, or location (processing plant, restaurant, petting zoo). Our job as your lawyers is to make sure that the truth is found and that those responsible for these illnesses are held accountable. E coli lawsuits involve obtaining and analyzing corporate documents, interviewing people sickened and company executives, and obtaining and analyzing genetic evidence. The cornerstone of these cases is genetic testing, including pulsed-field gel electrophoresis (PFGE), often referred to as “DNA fingerprinting.” In some cases, whole genome sequencing (WGS) is also done. These tests help determine who is part of an outbreak of illnesses and what made everyone sick. Our national food safety law firm has used this kind of evidence to win millions for people harmed by unsafe food. The Kentucky Department of Health announced on March 28th, 2019 that at least 19 people, mostly children and teenagers, had been diagnosed with E. coli O103 poisoning. At that time, officials had not determined the exact cause, but had linked it to fast food consumption. After reports of illness, Cargill issued a ground beef recall in September of 2018. Before the recall, the affected beef products were sold at Meijer, Safeway and Sam’s Club stores nationwide, at Target stores in five states and Publix stores in Florida. Ground chuck sold at certain Florida Publix grocery stores is the likely source of an outbreak of E. coli O26 infections. The beef products were sold between June 25 and July 31, 2018. Four people were sickened after eating at Sodexo’s Café Mario, located at the Nintendo of America campus in Redmond, Washington. One of the four also ate at I Love Sushi. Three of the four have confirmed cases, and one person has symptoms but not an affirmative diagnosis. The 4 people sickened ate food from Café Mario from June 18–22, 2018; one of the 4 also ate at I Love Sushi on June 19 and 26, 2018. Romaine E. coli lawsuits against California Papa Murphy’s restaurants allege plaintiffs suffered HUS kidney failure and other serious health conditions. The 2018 lawsuits, filed by a Washington law firm, involve multiple Papa Murphy’s locations including Rocklin, Alamo and American Canyon. The plaintiffs say they became ill after eating salads from the restaurants. A 2018 E. coli outbreak at a daycare center in Beaverton, OR has sickened five children. Test results on cultures from four of the children show that they were sickened by E. coli 0111, results on the fifth test are still pending. Pritzker Hageman E. coli lawyers are investigating an E. coli outbreak linked to raw milk from French Broad Farm in Mascot, Tennessee and petting animals at A Kid’s Place, a childcare facility also located in Mascot. Parents of these children should contact a lawyer about an E. coli lawsuit against French Broad Farm seeking compensation. Our law firm is representing people sickened in the 2018 E. coli outbreak linked to romaine lettuce that has sickened over 190 people in 35 states. Of 187 people with information available, 89 (48%) have been hospitalized, including 26 people who developed hemolytic uremic syndrome, a type of kidney failure. Five deaths have been reported from Arkansas (1), California (1), Minnesota (2), and New York (1). We are a national food safety law firm. Attorneys Brendan Flaherty and Fred Pritzker are providing free consultations to victims of this outbreak and their families. The states involved in this outbreak including the following, according to the CDC: Alaska (8), Arkansas (1), Arizona (9), California (45), Colorado (3), Connecticut (2), Florida (1), Georgia (5), Idaho (11), Illinois (2), Iowa (1), Kentucky (1), Louisiana (1), Massachusetts (4), Michigan (5), Minnesota (12), Mississippi (1), Missouri (1), Montana (9), Nebraska (1), New Jersey (8), New York (10), North Carolina (1), North Dakota (3), Ohio (7), Oklahoma (1), Oregon (1), Pennsylvania (24), South Dakota (1), Tennessee (3), Texas (3), Utah (1), Virginia (1), Washington (7) and Wisconsin (3). In 2018, over 190 people were sickened in an outbreak linked to Romaine lettuce grown in Yuma, Arizona, and served in several chain restaurants. Lawsuits have been filed against Panera Bread, Papa Murphy’s, Red Lobster, and Texas Road House. Ultimately, several companies may be legally responsible and required to pay settlements to people sickened in the outbreak who file lawsuits for the harm suffered to them because of E. coli O157 infections. The families of the people who died should contact our law firm to find out if they have wrongful death lawsuits against a restaurant, grower, food company and others. Attorney Ryan Osterholm has filed lawsuits against Chipotle, Costco, Jimmy Johns, Olive Garden, Red Lobster and others. He is one of the lawyers on our team. Call 1-888-377-8900. Pritzker Hageman attorneys Brendan Flaherty and Ryan Osterholm filed a suit against The SoyNut Butter Company on behalf of a child sickened in the outbreak linked to I.M. Healthy SoyNut Butter products. According to the CDC this outbreak is now over, but 32 people were sickened, most of them children, and 9 of these children developed hemolytic uremic syndrome (E. coli-HUS kidney failure). Brendan and Ryan, attorneys on our food litigation team, filed a suit against The Chicken and Rice Guys, LLC, on April 18, 2017, on behalf of a man who ordered a “Rice Plate” with Halal chicken, rice, pita, and lettuce from the Allston restaurant. He was later diagnosed with E. coli food poisoning. Our law firm is representing several people sickened at Chipotle restaurants in 2015. These 2015 outbreaks are over, but you may still be able to sue for compensation if your case can be linked to one of the restaurants. Contact our lawyers using our free consultation form. Attorney Ryan Osterholm is representing people sickened in the 2015 Costco E. coli O157:H7 outbreak linked to a celery and diced onion blend produced by Taylor Farms and used to prepare Costco Rotisserie Chicken Salad and other products. Again, the outbreak is over, but you should contact Ryan to see if you can still sue. Our attorneys practice extensively in the area of E. coli food poisoning litigation. These cases are won with scientific evidence. Any attorney handling these cases needs to understand the epidemiology, microbiology, and biochemistry involved in finding the source of a foodborne outbreak and determining which patients are part of the outbreak. Contrary to the belief of most people, class action lawsuits rarely apply to personal injury claims like E. coli food poisoning. That’s because these claims have “individual” issues not shared by other people. For example, the amount of money to which a claimant is entitled varies widely based on age, level of disability, wage loss, medical expenses, etc. Because of of these individual issues, a class action lawsuit is probably not appropriate for outbreak claims. The restaurant, grocery store, food processor, and/or other party linked to the outbreak is liable for damages. 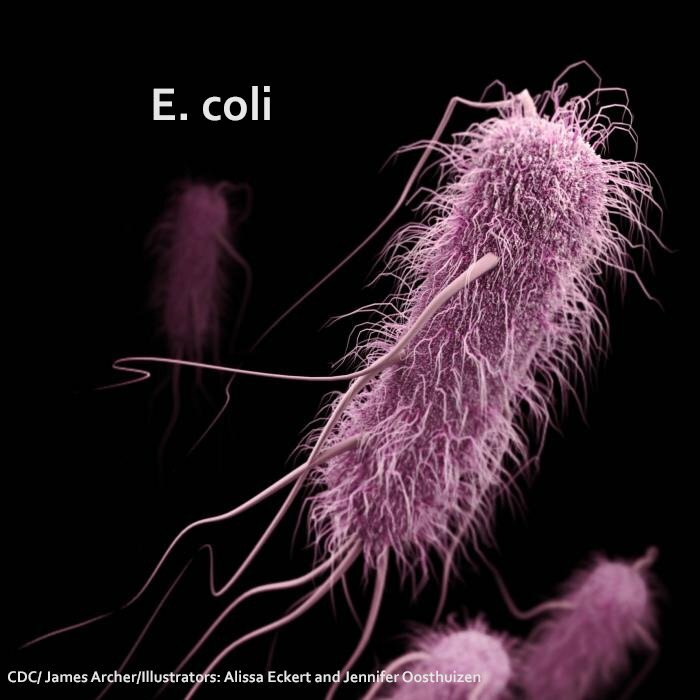 To determine who is part of an E. coli outbreak and find the source of an outbreak, health officials use microbiology and epidemiology. The microbiological and epidemiological evidence gathered by a health department or the CDC can be used in a lawsuit against the parties responsible for the contamination of the food product and the sale and distribution of the contaminated product. The microbiology is a series of tests on stool samples, food, and environmental swabs. Initial tests determine if the bacteria is E. coli O157:H7. If so, additional tests are conducted to determine the DNA fingerprint. Bacteria with the same or very similar “DNA fingerprint” likely came from the same source. The epidemiology is the analysis of interviews with ill people and their families. Health officials ask where the sick person has been, what he or she ate, and other questions that will point to a source of the outbreak. Then the data is analyzed to find connections. Did those sickened eat at the same restaurant or cafeteria, buy groceries at the same supermarket, or attend the same event at a hotel, country club, school or church? Did they eat the same food product: ground beef, raw milk, cheese, lettuce, apples? A series of events occurs between the time a patient is infected and the time public health officials can determine that the patient is part of an outbreak. This means that there will be a delay between the start of illness and confirmation that a patient is part of an outbreak. The time from the beginning of the patient’s illness to the confirmation that he or she was part of an outbreak is typically about 2 to 3 weeks. States where our lawyers have handled cases: Arizona, California, Colorado, Georgia, Illinois, Indiana, Iowa, Kansas, Maine, Massachusetts, Michigan, Minnesota, Missouri, Nebraska, Nevada, New Jersey, New York, North Carolina, North Dakota, Ohio, Oregon, Pennsylvania, Rhode Island, South Dakota, Virginia, Wisconsin, and Wyoming. You can sue a grower, food processor, distributor, restaurant, retailer (grocery store or big-box like Walmart, Sam’s Club or Costco), school (illness from cafeteria food), caterer, convention center, hotel, nursing home, etc., depending on the facts of your case. We look at every step from farm to fork to determine who you can sue, and it is usually more than one company. Can I Sue a Restaurant for E. coli? Can I Sue a Daycare for E. coli? Can I Sue Applebee’s for E. coli?